I have been involved with Boxers since 1981, and with the help of David Baggley, I intend to record my life with my Boxers. All this will not happen over night, so please keep revisiting my Web site and watch it grow and develop. 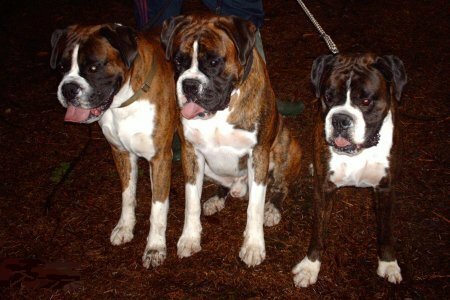 Copyright © 2000-2006 - Dderwen Boxers - All rights reserved.